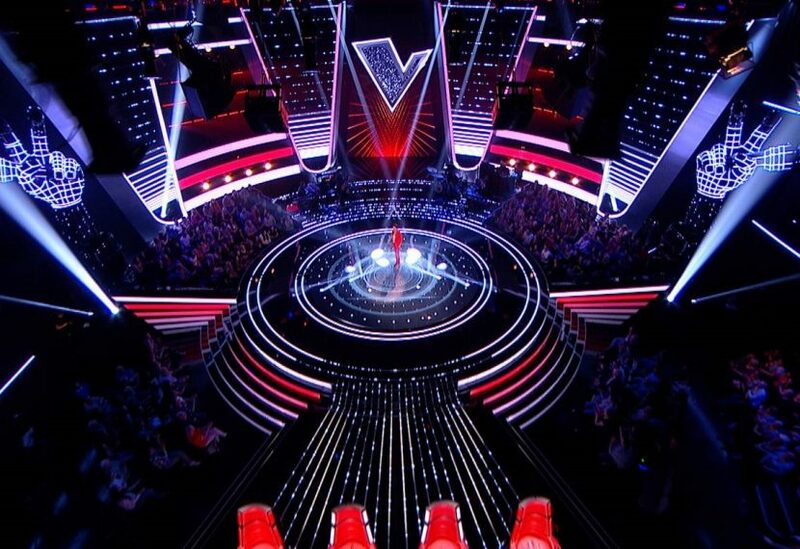 This large, high-spec set for the prime-time Saturday night TV show comprised a circular main stage flanked by four 10m high ‘V’ units and a central feature ‘V’ logo. 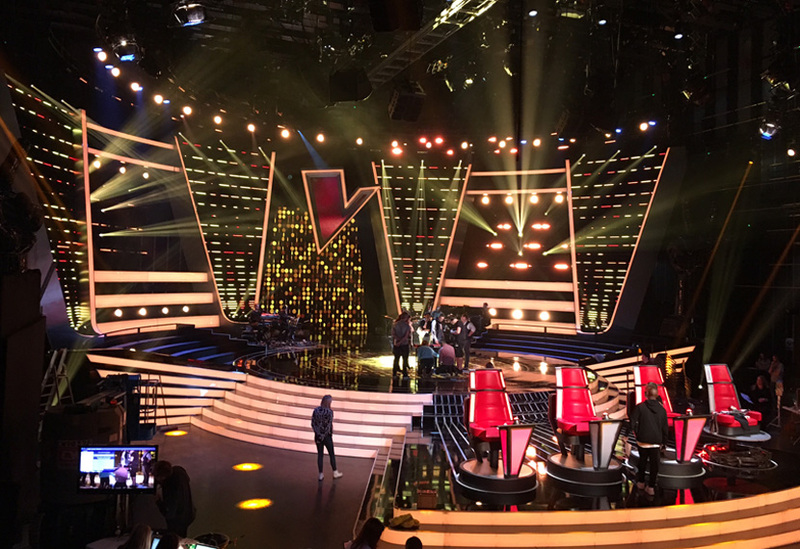 The void of each ‘V’ unit was fitted with rows of horizontal lightbox strips, while a series of large rectangular lightboxes linked all four units to create an impressive backdrop that allowed for numerous lighting effects. 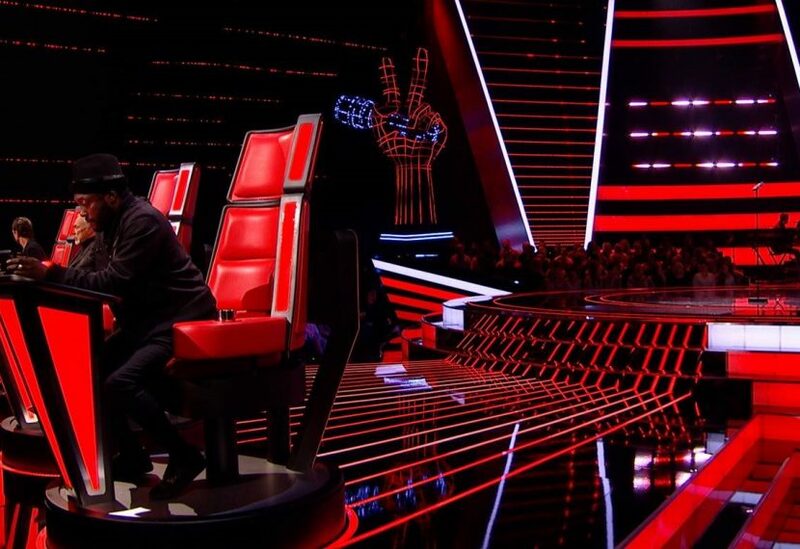 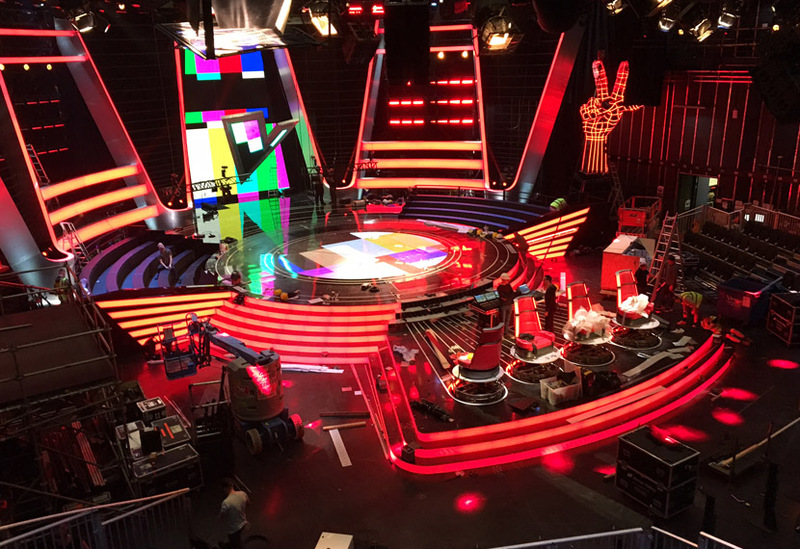 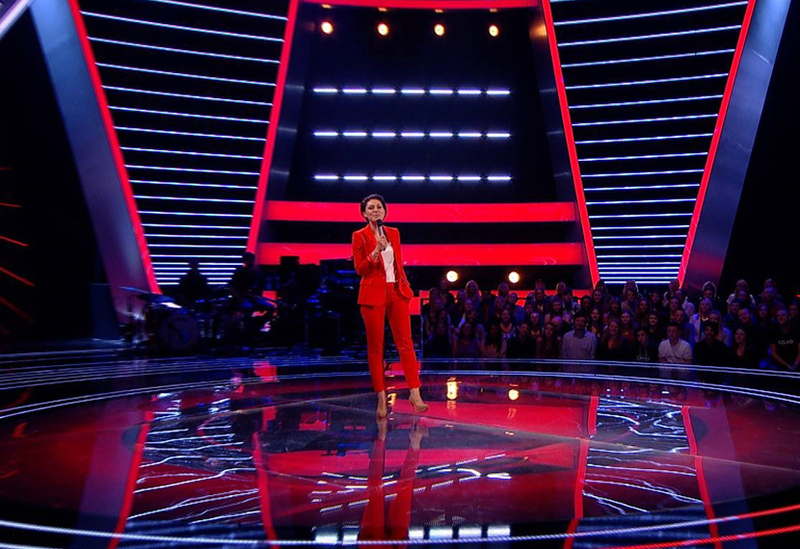 The Voice ‘V’ logo was suspended above the stage entrance, the steel frame holding lightboxes and LEDs. 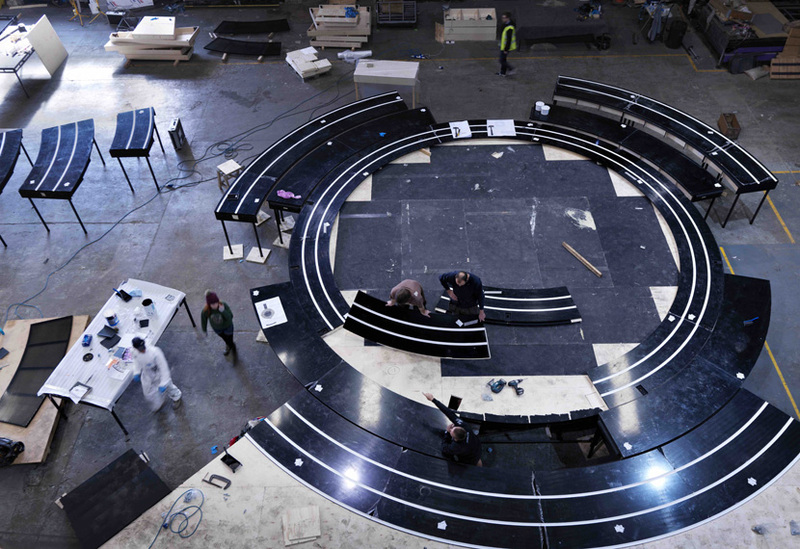 The 11 metre main stage was constructed from a mix of stock and bespoke units and included a central section with a large circular acrylic surface revealing the video floor underneath. 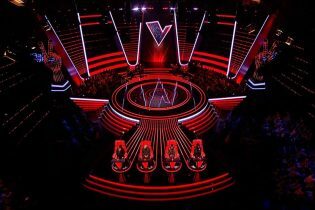 This was surrounded by a black gloss laminate stage floor with pre-cut grooves to accommodate LED lighting strips. 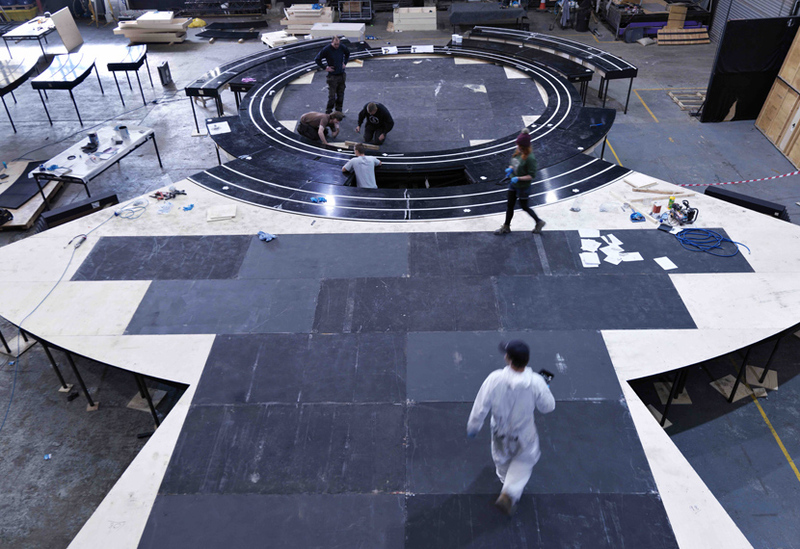 All other stage areas and treads were finished in a similar fashion. 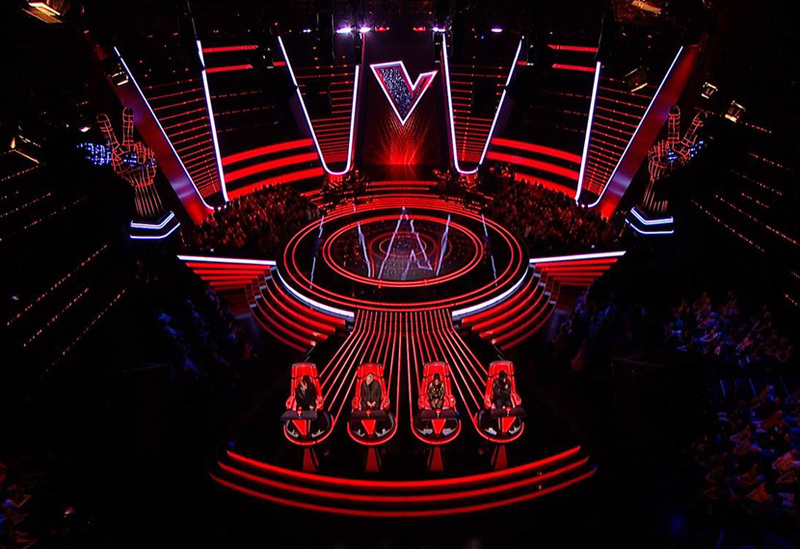 To accommodate the four iconic rotating judges’ chairs, we created a stage area to the front complete with black laminate treads and long grooves for the inlaid LEDs. 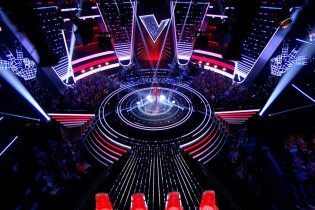 We also manufactured the bleachers and a small crow’s nest stage for live links and interviews.